A Raw Diet is Healthy, But Is It Practical? As part of an effort to change my life through healthy eating, I decided to do a raw cleanse. I think cleanses are great, despite there being many naysayers toward them. I’m getting married in just a couple of weeks, and I’m changing jobs, and both of those things are huge stressors in life. While I expect a little bit of mental and emotional stress, I wanted to eliminate – or at least try to reduce – the stress symptoms from my body. To do that, it has to be strong, healthy, and balanced. I have done a lot of research into healthy eating and nutrition (it’s actually kind of a research obsession of mine), and one thing that I believe in but have never tried was a raw food diet. The notion of raw food diets interest me, so I signed up for the Young and Raw 21 day raw food reset, after hearing a lot about Young and Raw from various people around me. I’m in the middle of the cleanse right now, so I can’t really comment on the outcomes until it’s over, but I’m not so sure that raw food diets are sustainable for the average North American. Raw food diets are simple, and just as they sound. They eliminate all processed and cooked foods, so you are only eating raw, natural food. Raw food diets are generally pretty vegan friendly as well, because you can’t eat meat, fish, or many animal products without cooking it. The cleanse that I did has no animal products in it at all except for honey. Instead of oatmeal or bacon and eggs in the morning, raw foodies eat smoothies and drink vegetable juice. Instead of cooking beans and legumes, raw foodies sprout them. Why raw food? Well, it’s not just for fun. Cooking food above a certain temperature (many sources will cite 115 degrees) can ruin some of the nutrients and enzymes in your food. As a nation, we are already pretty nutritionally deficient so we don’t need any less! Raw food diets encourage a high volume fruit, vegetable, and seeds diet, and luckily, all of those things are packed with vitamins and minerals. Raw food diets are often credited for curing some minor diseases, clearing acne, restoring youthfulness, energy, and brain clarity. All good stuff. Despite all of these benefits, I’m not sure that it is practical for most people in the developed world to consider staying on a raw food diet for an extended period of time. Heck, for me it’s been difficult enough for just a week! Raw food really doesn’t keep for very long, so you can’t make all of your salads and juices ahead for the week like you can with cooked food. No, each and every salad has to be made individually. You have to wash and dry that complicated juicer every single time you need a juice. This has probably been the most painful thing for me to adjust to. I think I could be a raw foodie during the day, almost every day (except when travelling), because it’s easy enough to just bring a big, juicy salad for lunch, and have a smoothie in the morning, and fruit and juice as a snack. I mean, it’s a lot of prep, but it’s doable, and totally worth it. I could probably even swing a few raw dinners a week! But it all falls to pieces when I’m invited for a BBQ or my fiancé wants to take me for dinner or somebody’s birthday happens and there’s a dinner for them. I can’t fathom opting out of all social gatherings that happen around dinnertime, nor could I imagine completely, 100% giving up the restaurant junk food. Raw food diets are expensive! 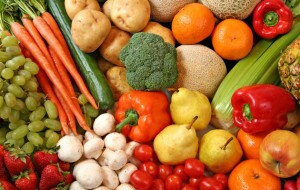 Fresh produce is quite costly to begin with and you need a large volume of it for a week or month of eating raw. Rice is nice and cheap, but you can’t eat it on a raw food diet, and there is no real cheap equivalent except for maybe bananas. I enjoy eating raw, natural, healthy food (even natural healthy food that isn’t raw is fine by me), so I will sustain that for hopefully my entire life, but for those three reasons I don’t think I’d be able to sustain a raw food diet for longer than the cleanse. Raw food definitely has more nutritional value most of the time, but like you said, it wouldn’t be practical all the time. It’s something to consider for me during the day, but not all the time. I know raw food makes me feel great when I eat it all the time! I think during the day raw food diet is a great way to incorporate it into your life. I’ve adopted at whole food / plant-based diet, but like you I’m a student of nutrition so have read about raw food diets. I agree, the biggest challenge for me might be the time required. It’s no wonder all those thoroughly unhealthy–but quick!–packaged and processed foods have become popular. If I ever turn to packaged and processed foods I’d generally accept that I’m being lazy; it only takes a few more minutes to chop a vegetable or peel a fruit! Even being vegetarian is hard in certain circumstances- particularly going out or spending time with friends. While I’d love to go raw, it would definitely present a lot of challenges. I have never had a problem with vegetarianism, but certainly raw food diets are challenging. I agree that eating foods that are as close to the natural state is healthier for you. I love animal protein too much to give it up, but I also try to include lots of fruit and vegetables in my diet as possible. If you load up, you should be fine! I have had friends that are 100% vegan and they’ve never indicated that it has hurt their social life, but maybe they just don’t eat out as much. Certain diets can be difficult to maintain if you eat out a lot, that’s for sure! I agree that raw food is very nutritious, so the idea seems appealing, but like you, I couldn’t see doing it 100%. I try to eat raw nuts and seeds and I eat a ton of raw fruits and veggies during the day. But for dinner, I tend to want a cooked meal. I think the occasional raw food cleanse though must feel great! It definitely recharges your body!